Summer is in full swing here at the farm. It is keeping me busy so this update is going to be full and all over the the place. 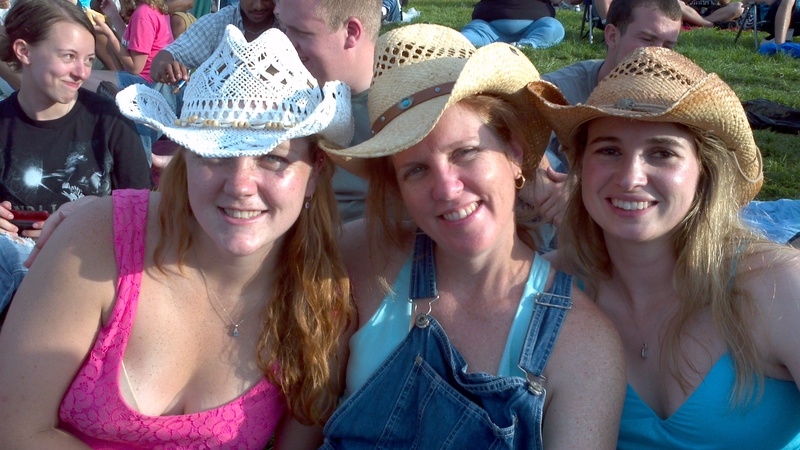 It is not all about work though, a couple of weeks ago the extended farm family went to a country concert. It was a great break from the farm work and a good time was had by all! Lessons are continuing I am now scheduling them for early morning or late evening to beat the heat. This is my youngest rider, she is coming along by leaps and bounds. 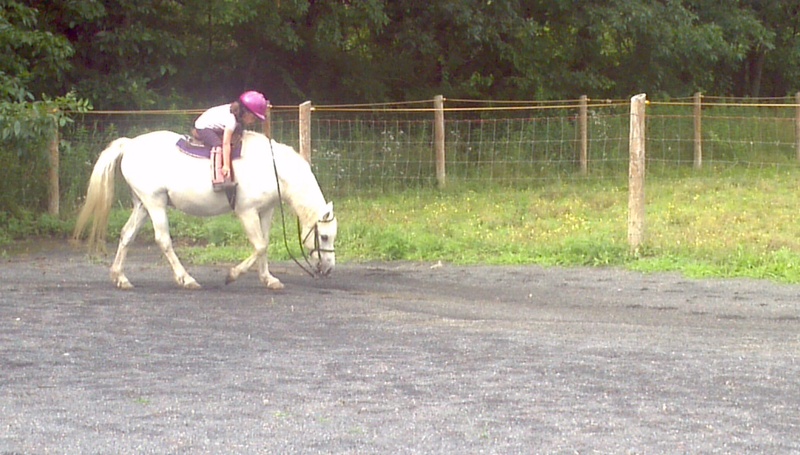 Last week we were trotting with out a saddle! We are also taking on new riders and beginners. 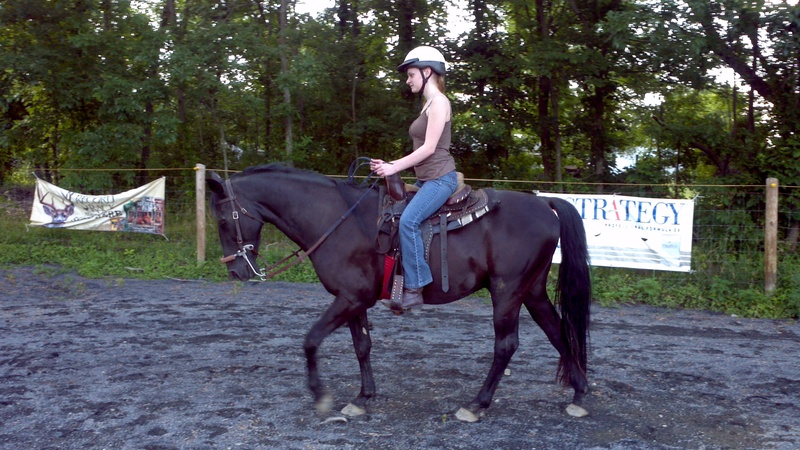 I got Nash out for this lesson, he was great and is such a sweet horse for first timers. The other day, I was telling folks about how much of a lover he is and then I recieved a big lick up the middle of my face! 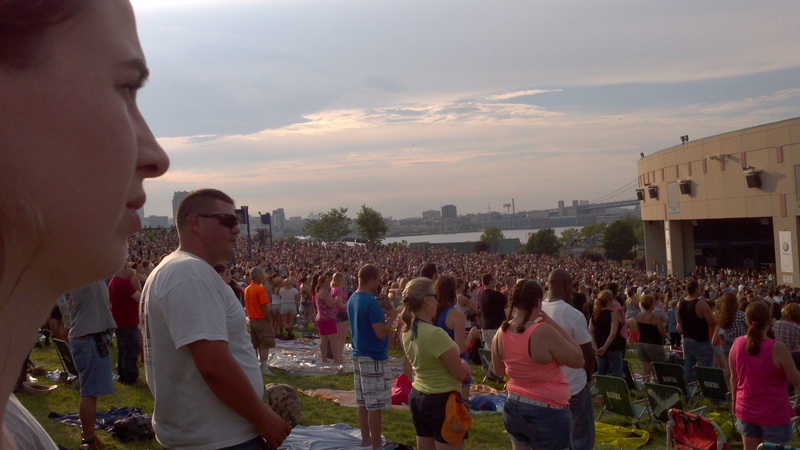 July 4th was a fun filled day OFF too. We went for another trail ride around green lane. I got Casey to jump a log for me. I think he liked that. Lastly some shots of when the ferrier was here. 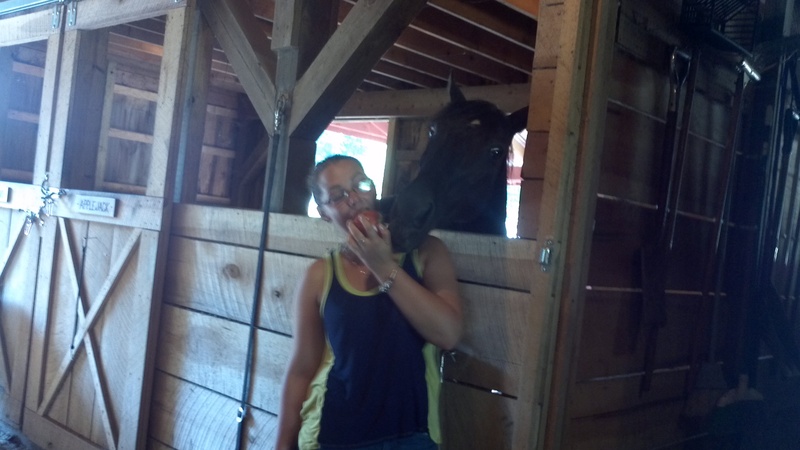 Nash didn’t think it was fair to bring apples to the barn and not share. The donkeys were brought up to have their hooves trimmed too. 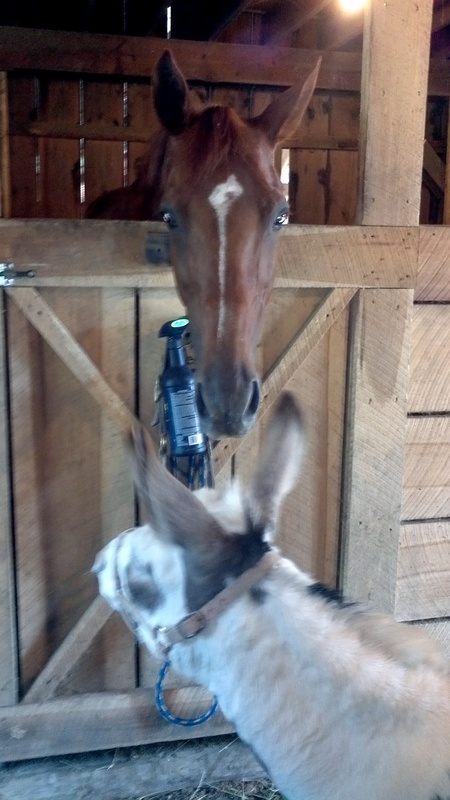 Frodo said hello to Izzy. It was funny after they were done and brought back to their pasture with the goats Cuervo kept whinnying and calling for them to come back. It is amazing the bonds they share. 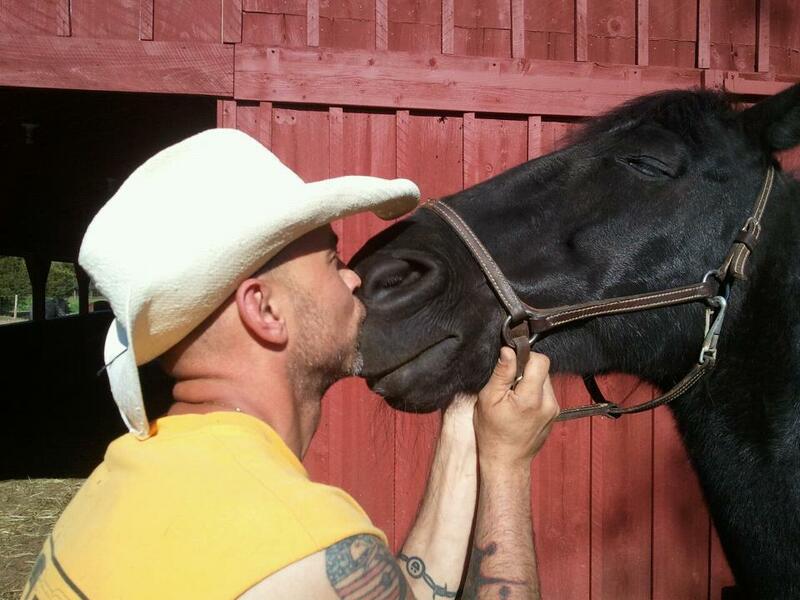 Have you hugged a horse today? Farm therapy is the best kind of therapy. 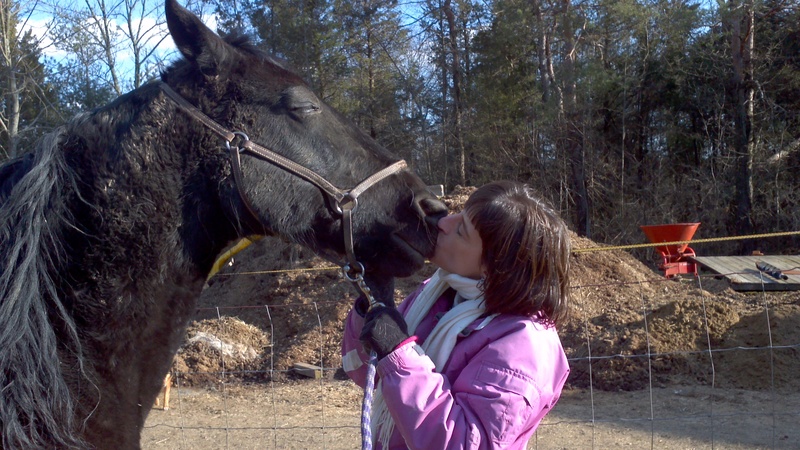 Petting animals can reduce your stress levels. Check out this article on 27 ways pets can improve your life. 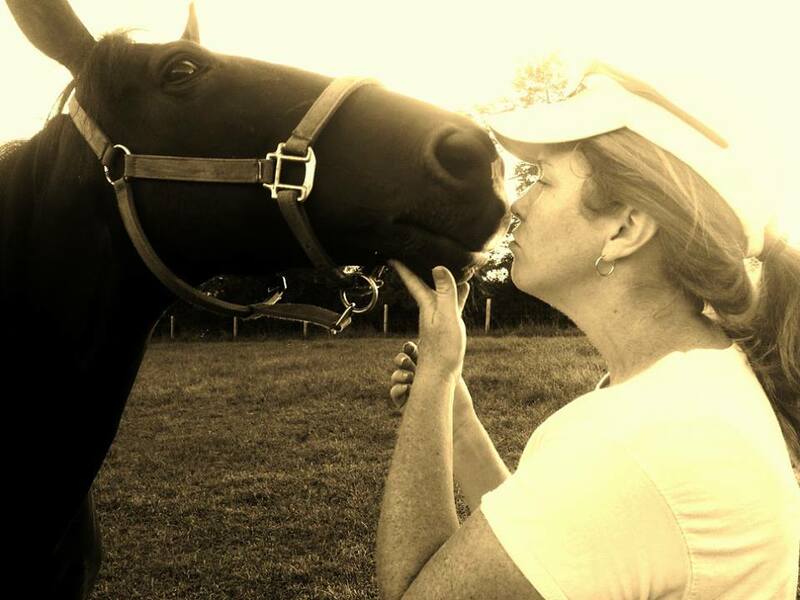 This past weekend a farm family friend and I went to the barn at night for some horse therapy. We were hugging and loving on Nash & Casey. Nash was giving me kisses and my friend was giving Nash a massage. We loved the quiet time with my boys. Riding horse forces me not to think. If I need to “get out of my own head” for a while I get on a horse. There is so much going on while riding that I am not allowed to let the pesky issue seep in.